T&J Landscaping has been providing Lawn care services throughout central and southern NJ since 1989. We use only the best materials and state of the art application methods. Our lawn care program provides a balanced all granular fertilizer with timed released capsules that give just the right nutrients to your lawn over an extended period of time without excessive run-off. We offer a complete weed control program, and spot treat for weeds throughout the growing season. 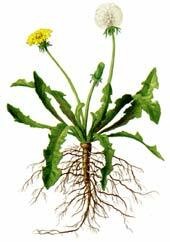 We also offer a preventative weed control that stops crabgrass from gaining a foothold in your lawn. Our complete lawn care program includes a special grub preventative that attacks grubs before they can do damage. If you saw Japanese beetles this year around your property, then the chances are good that you'll have turf-damaging grubs in your soil. Our preventative treatment will control these grubs. T&J Landscape has the experience and know how to make a distressed lawn healthy again, using proven methods and the right equipment to revitalize a distressed lawn, or install a completely new Sod lawn, or properly preparing the site and Seeding it with quality seed, based on the conditions your individual property exhibits. WHEN SHOULD LAWNS BE AERATED? Annual aeration is beneficial for all lawns. 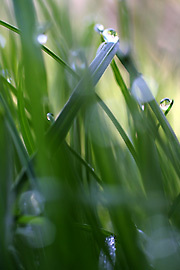 Lawns growing on heavy clay or subsoil, and lawns exposed to intense use, benefit from two or more aeration each year. Many mistakes people make concerning their lawns is a combination of misreading the signs, and improper watering. Both too much, and not enough. When looking at your lawn and seeing the color lightening, or worse, yellowing, or browning, many people's first instinct is to increase the watering, even if it has been raining for a week, and then there are a few sunny days when they are out there to see it, and notice the browning or yellowing of areas of grass. In order to know which is the right step and when you need to understand how root systems work. Roots primarily need moisture and aeration in order to produce healthy green grass. So when roots do not get enough aeration, they start to suffocate, and when this happens to most plants, the result is a yellowing or lightening of the lush green color. With that said, when there has not been any aeration done recently, and there has been either exceptional rain fall, over watering, compaction of soil, or even too much cloud cover for long periods, which never allows the ground to dry up some, and the result of any of these conditions, or combination of them, will be the roots suffocating, and the grass will display the same symptoms as suffocation, which often is mistaken as not enough water, and then the problem just compounded. The solution? Manage your watering intelligently, or ask your service crew for the best watering advice based on the services you have employed them to do. Think about your recent weather, and consider how much rain fall you heavy had in the past week, and then consider if there was sufficient sun to evaporate any of that rainfall from the ground, and if not, back off on the watering, too much is as bad as not enough. Ultimately most landscapes need approximately one inch of rain a week, so if you are getting rainy weather regularly, you need to back off on the watering, and allow for some drying time, conversely, when you do need to water, water deeply less often instead of watering for 20 or 45 minutes every day or every other day, but water for an hour and a half, two to three times a week, to better establish a deeper rooted lawn that will be more drought tolerant, thicker and more lush, because of the dry periods between waterings, helping the roots to become more deeply established searching for the ground moisture a little deeper than the top inch or so, many lawns never root beyond this shallow depth because of the high frequency of short period watering. Another reason the dry out periods are important, is because when too much moisture is present for too long of a period, you will be subjecting your grass to mold infestations that can kill an entire lawn if it is left untreated, and this can void your guarantee on your lawn care results. Call Our Lawn Care Specialists Today! 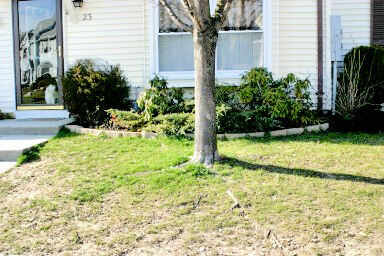 Here is an example of a lawn in need of aeration due to soil compaction. Dandelions are a persistent weed problem. Each seed head of a mature plant produces thousands of weed seeds that float easily in the breeze. So if anyone in your immediate vicinity has dandelions, you can count on you having them too. Crabgrass is a warm season annual grass which grows best in the heat of midsummer when desirable lawn grasses are often semi-dormant and offer little or no competition. 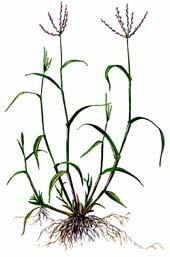 Crabgrass over winters as seed, comes up about mid-May or later, and is killed by the first hard frost in fall. We can prevent crabgrass from being a problem in your lawn this year with our special pre-emergent weed control that prevents crabgrass from even sprouting. 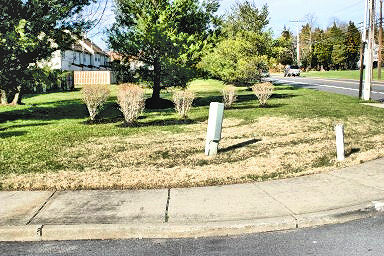 Here is an example of a lawn showing distress from lack of water, notice that there is an edge to the outer area showing where water has been reaching to or not enough due to intense sunlight, if this were just root suffocation, it would be spotty green through out like the compacted soil example above. No Duplication Allowed, All Rights Reserved!